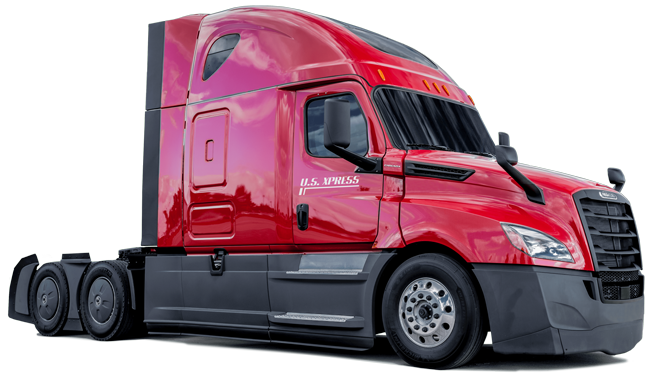 Earn $1 – $2 Per Mile, Up to 3 Weeks Deferred Pymts + 500,000 Mile Warranty! Earn Up to $175,000/yr or MORE! Backed by one of the nation’s largest truckload carriers. NEW FROM US XPRESS! No Money Down! No Credit Check! No Balloon Payment with a WALK-AWAY LEASE*. IT’S NEVER BEEN EASIER TO OWN YOUR OWN TRUCK. Don’t trust your dream of owning your own business with just any company. That’s why you can’t beat US Xpress’ NEW Lease Purchase Program. You’ll not only get unbeatable options on excellent equipment, you’ll be backed by the stability and support of one of the nation’s largest truckload carriers: USX. No money down or credit check means it’s easy to get started. And low monthly payments with no balloon payment means it’s easier to finish your lease and own your truck. Best of all, you can count on getting the steady freight you need to succeed. Plus, you’ll enjoy exclusive discounts on fuel, tires and maintenance that help you keep more of your hard-earned revenue. CALL US XPRESS TODAY! Call now to talk to a recruiter 866-897-1347. Team Sign-On Bonus Payouts subject to qualifications. Ask a recruiter for details. Every year, we spend more than most other companies to ensure you’re rolling in a newer truck that averages just 18 months old and is equipped with the latest technology. Every driver has a story. Let U.S. help you write yours. 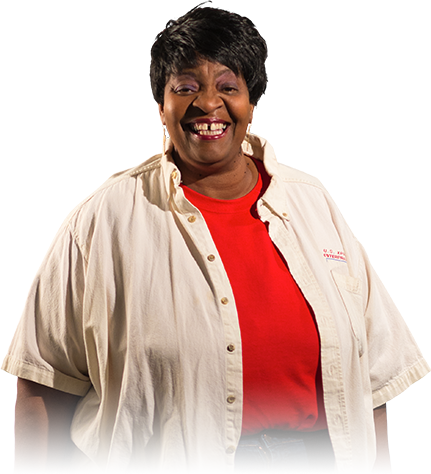 Marilyn is a lease driver who is now on her third lease with U.S. Xpress. Her love of life, family, food and truck driving are truly infectious! Click play to hear the story of this self-proclaimed “Mother Trucker.” Then click below to find out how we can help you shape the story of your life.